"Brought another one of this to be used as a AP in the house. Very strong radio signal. Love the product. Will be purchasing more for other uses"
"Purchased 2 weeks ago to replace an old Cisco 1250 which didn't cut the mustard in terms of coverage. Spotify would be choppy while working out in the yard and coverage was non-existent in some..."
"Put this in 2 weeks ago and at last 1 device to cover the whole house, better speed and reliability, and I can add another if I want and mesh them, seriously thinking of an outdoor unit to compliment..."
Does adding this AP to your existing router allow you to keep your existing SSID throughout your house, or do you have to change SSIDs when you move around the house? Yes, you can set it up this way - but you will need to know how. 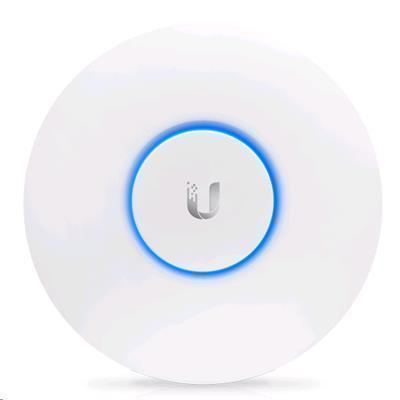 There are plenty of online guides however I would recommend buying two of these and setting them up and disabling the wireless function on your normal router. I understand the UAP-AC-LR has supported 802.3af POE for the last year or so. Is this still old stock that only supports passive 24v POE or is it the more recent model that supports 802.3af POE? (I think the newer packaging says it now supports 802.3af in a blue triangle on the box). If the newer version you might want to update your specs? Can these be programmed to turn off and on, for example automatically stopped overnight? Purchased 2 weeks ago to replace an old Cisco 1250 which didn't cut the mustard in terms of coverage. Spotify would be choppy while working out in the yard and coverage was non-existent in some corners of the section. This AP is centrally mounted on the roof in my house and now covers my entire house and all corners of my 928m2 section. 5GHz band covers most of the house inside and 2.4GHz extends to all corners of the section from the single AP. Highly recommended so far!Purchased 2 weeks ago to replace an old Cisco 1250 which didn't cut the mustard in terms of coverage. Spotify would be choppy while working out in the yard and coverage was non-existent in some corners of the section. This AP is centrally mounted on the roof in my house and now covers my entire house and all corners of my 928m2 section. 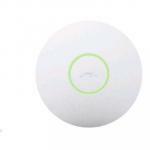 5GHz band covers most of the house inside and 2.4GHz extends to all corners of the section from the single AP. Highly recommended so far! 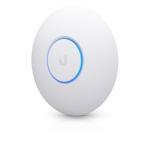 Awesome Access Point, highly recommend with easy setup via the App. I have been using this for about 3 months now and it is fantastic. Great range, customisable signal strength, great management with app, mounting bracket included, POE injector included if needed. Yet to think of any consAwesome Access Point, highly recommend with easy setup via the App. I have been using this for about 3 months now and it is fantastic. My previous AP could barely get 10% signal through the house, now it's a comfortable 60% even at the far reaches. Definitely recommended. Mounting bracket is great, POE injector is included, but you'll need to run some controller software somewhere.My previous AP could barely get 10% signal through the house, now it's a comfortable 60% even at the far reaches. Definitely recommended. Mounting bracket is great, POE injector is included, but you'll need to run some controller software somewhere. Rock steady. Good range inside our multi-level dwelling. The UniFi Controller software creates a Java tunnel to allow browsing to a comprehensive management and monitoring console, even without a UniFi Security GatewayRock steady. Good range inside our multi-level dwelling. These are amazing! the long range variants are slight overkill but well worth it! Not joking if I keep getting these for people I'll have city wide Wifi coverage.These are amazing! the long range variants are slight overkill but well worth it! Not joking if I keep getting these for people I'll have city wide Wifi coverage. Bought this a few weeks back to add to my existing (home) network, which had 2xUAPs. They provided great solid service, but only had 2.4GHz radios and there's a bit of competition in that realm. This adds 5GHz for the main living areas and with the gigabit uplink means we can get more like the 300Mbps out of N. Only a few of our devices have AC, but it's still provided a noticible improvement for them (and older clients using N) in addition to improving the connection with less competition in 5GHz. Seamlessly slotted in to the existing system, plug it in, adopt it on the controller, and we were up and running! View MoreBought this a few weeks back to add to my existing (home) network, which had 2xUAPs. They provided great solid service, but only had 2.4GHz radios and there's a bit of competition in that realm. This adds 5GHz for the main living areas and with the gigabit uplink means we can get more like the 300Mbps out of N. Only a few of our devices have AC, but it's still provided a noticible improvement for them (and older clients using N) in addition to improving the connection with less competition in 5GHz. 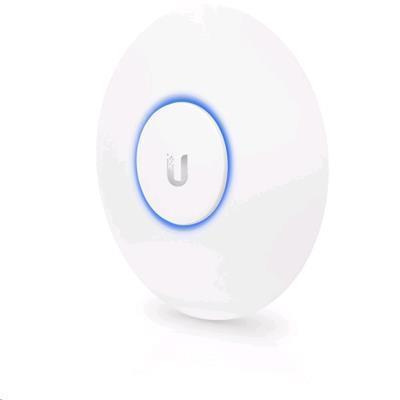 Download the software to your PC or Mac to configure the Ubiquiti access point and it just works. I haven't had a real chance to test the signal range. It seems reasonable but maybe not quite as good as I'd hoped for a supposedly long-range device so I'm deducting one star. 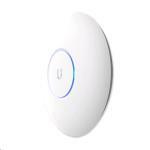 View MoreDownload the software to your PC or Mac to configure the Ubiquiti access point and it just works. I haven't had a real chance to test the signal range. It seems reasonable but maybe not quite as good as I'd hoped for a supposedly long-range device so I'm deducting one star. The POE adapter is also slightly ugly, but not really an issue since this device has rescued me from the consumer-grade hell of the previous mini-extenders I bought. No DHCP conflicts like I had with the other brand. Everything connected cleanly (the other brand I tried connected PCs and phone's OK, but bizarrely messed up the IP addressing on Macs and TVs - but only sometimes - aaargh). 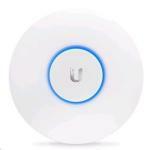 Ubiquiti is good. Normally: $171.30 Normally: $197.00 $157.54 ex. $181.17 inc.